Garvald and Morham Churches have now been swathed in knitted poppies and they are open for visitors every day. Arrangements for Remembrance Sunday are in the poster below. 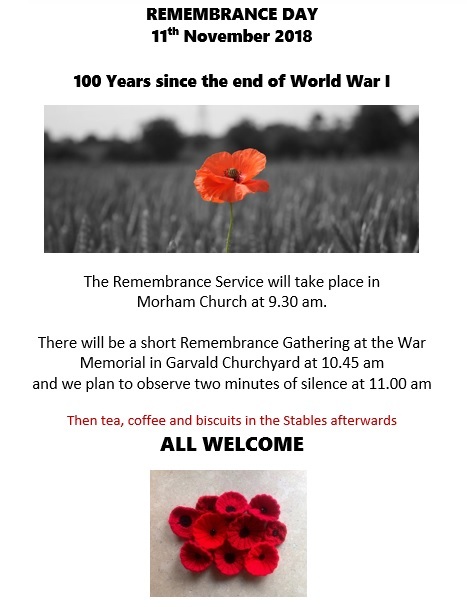 The gathering at the War memorial in Garvald is a special event to mark the 100th Anniversary of Armistice Day and we invite everyone to attend. This entry was posted in Church on November 8, 2018 by Admin. On Monday 1st October there will be a Knitting Night – a chance for a knit and a natter as we try to produce a few more poppies for the Centenary Remembrance display. 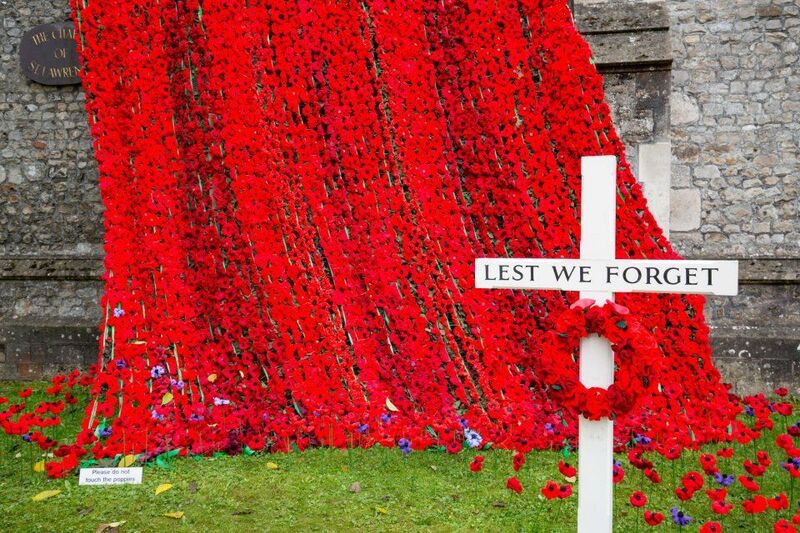 As 2018 marks the centenary of the end of WW1 there will be a very special Remembrance Day in November. 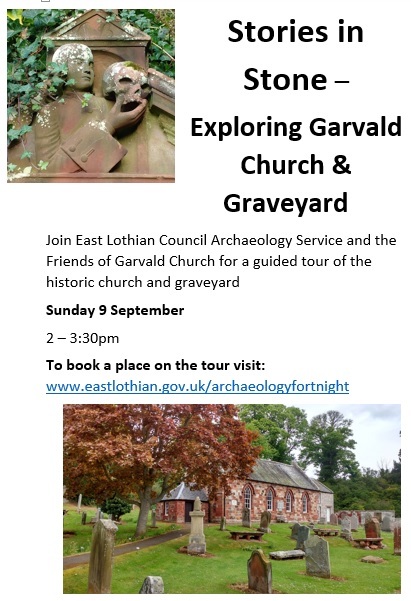 We will be decorating Garvald Church with knitted and crocheted poppies. If you’d like to help, a knitting pattern is attached here and crochet patterns can be found by searching on-line. The Knitting Night is on Monday 1st October from 7 – 9 pm in the Stables (down by the church). Everyone welcome. Even if you can’t/won’t knit you could come and help attach poppies to the display. Thank you! This entry was posted in Announcements, Church on September 26, 2018 by Admin. 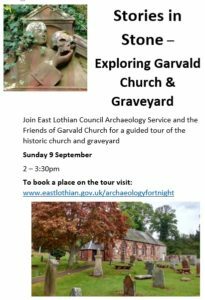 Join East Lothian Council Archaeology Service and the Friends of Garvald Church for a guided tour of the historic church and graveyard. 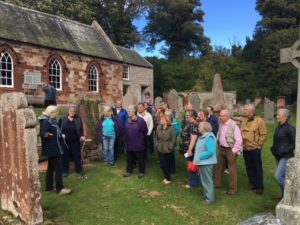 We will explore the hidden history of this beautiful building and examine gravestones to uncover the stories that they can tell. 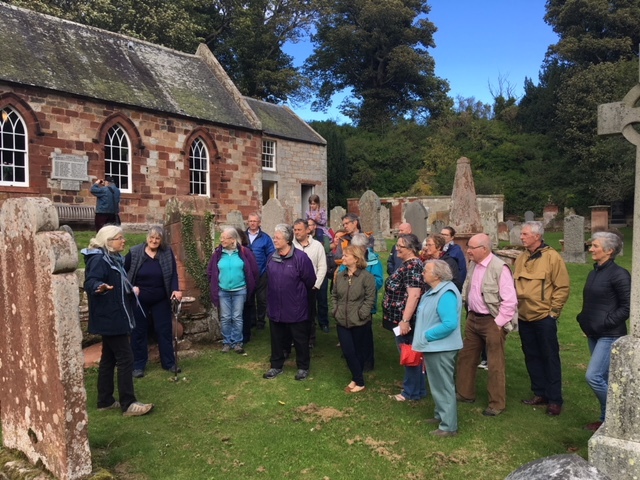 We will also discuss the plans to restore the church and create a heritage hub for the village. This entry was posted in Church on August 7, 2018 by GHS admin.